When you select PRINTED you will be able to choose paper type, envelope type & additional options. 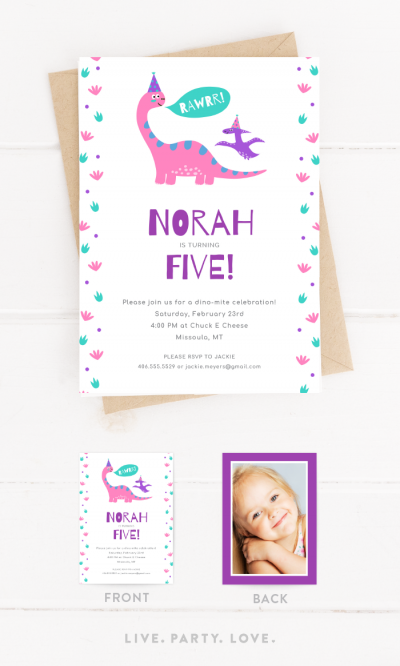 Pink & purple dinosaur birthday invitation – an adorable dinosaur birthday for your little one obsessed with dinosaurs, pink & purple. Customize the front and back of this invitation by changing text, colors and adding a photo.